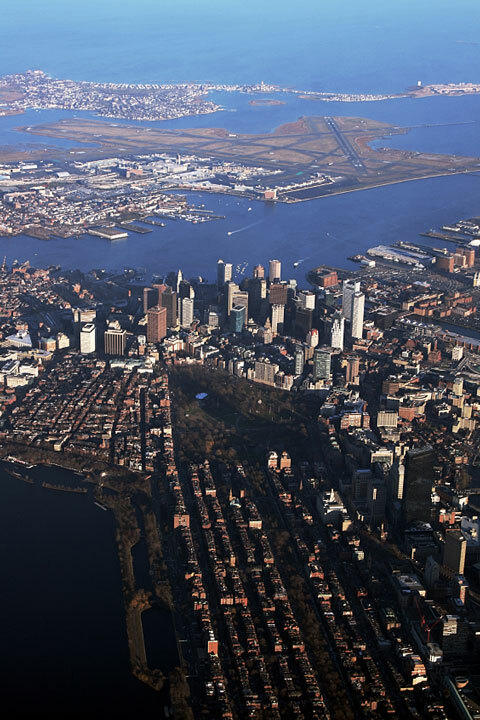 Major Massachusetts airports include the Barnstable Municipal Airport in Hyannis, the Worcester Airport, the Boston Logan International Airport, the Martha's Vineyard Airport in Vineyard Haven, and the Nantucket Memorial Airport. 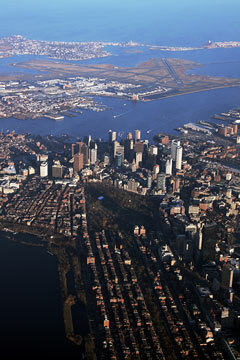 The photograph at right is an aerial view of Boston, with Logan International Airport in the background. This Massachusetts airport map shows FAA-designated commercial service airports, reliever airports, and general aviation airports in the Commonwealth of Massachusetts. Primary airports are designated with an airplane symbol. Massachusetts airport map source: FAA 2001-2005 NPIAS.